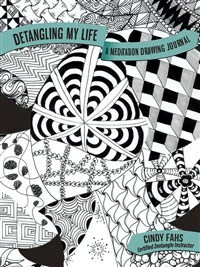 Draw your way to peace, calm, and mindfulness with this beautiful new Zentangler's journal! 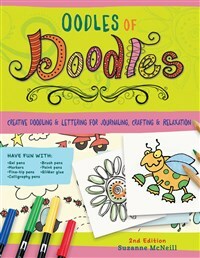 Attractively designed and made with archival-grade, acid-free, 200-year paper, it features plenty of room to tangle, with Tangle patterns and Zentangle-inspired art throughout the book to inspire your creativity. 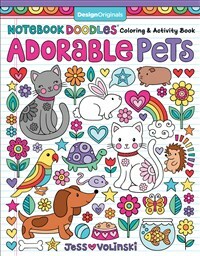 Let your imagination bloom as you color page after page of beautifully intricate designs! Coloring artist Angelea Van Dam gets you started with gorgeously colored examples and helpful hints on dazzling coloring techniques like layering, blending, and patterning. Guided Coloring Pages make coloring easy for beginners with ready-to-use color palettes. 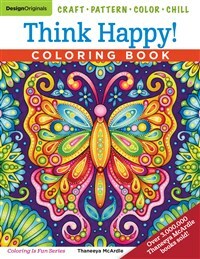 Express yourself through positive thinking and calm meditation with this must-have therapeutic coloring book by best-selling author, Thaneeya McArdle. 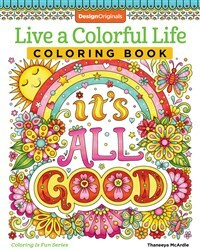 Featuring all new art and uplifting sentiments, this book serves as the perfect reminder that it’s all good! 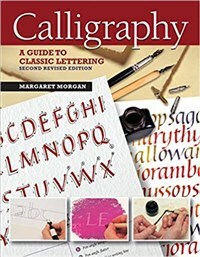 If you’ve ever wanted to learn the techniques of hand lettering, Calligraphy gives practical advice and guidance on materials, tools, and methods. Containing four alphabets and 12 step-by-step projects, you’ll be able to create stunning cards, calendars, letterheads, and wall hangings. 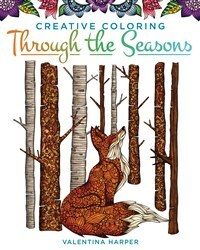 Savor the passing of time with ready-to-color art activities inside this gorgeous coloring book for grownups. Start with spring planting and move on through the year, from summer fireflies to autumnal leaves and winter snowmen. 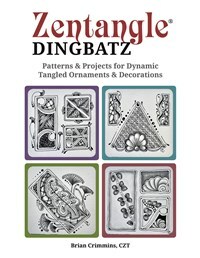 Dingbatz are a fun way to incorporate the fundamentals of Zentangle into a wide variety of creative projects and bring attention and mindfulness to the smallest corners of your life. 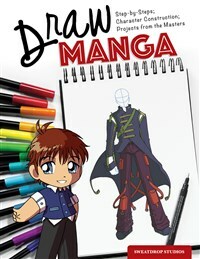 This book will introduce you to how dingbatz are constructed, and how to build from that basic structure to create designs uniquely your own. 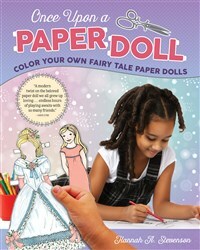 This delightful book provides hours of imaginative play with nostalgic paper doll characters from favorite fairy tales. Once Upon a Paper Doll features 19 cardstock dolls to color, cut out, and dress up in 46 color-able outfits. 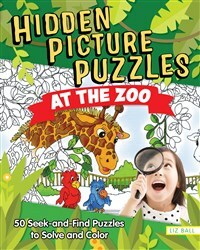 Send Cinderella to the Ball, explore Wonderland with Alice, help Little Red Riding Hood escape the Big Bad Wolf, and more. Cheer up and color! 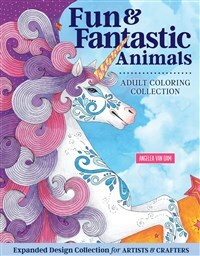 With three times as many coloring pages as ordinary coloring books, this big coloring anthology offers 96 playful art activities that will unleash your inner artist. 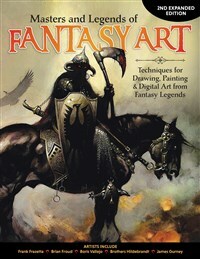 This superb collection of workshops from some of the world’s finest artists will help readers to understand anatomy and bring their art to life. 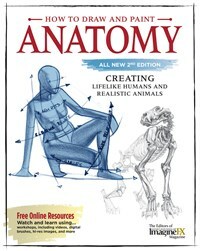 How to Draw and Paint Anatomy, 2nd Edition is the complete artist's guide on how to create fantastic images of humans and animals in easy-to-follow steps. Whether you are decorating your journal, scrapbooking a sentiment, or personalizing a birthday card, you’ll find just the right motifs and techniques here, with original designs for borders, frames, banners, alphabets, arrows, hearts, flowers, and personal goals. 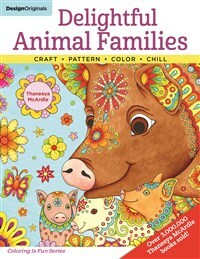 This cheerful coloring book from bestselling artist Thaneeya McArdle is filled with furry family fun. You’ll enjoy hours of relaxing creativity with these bright-eyed and bushy-tailed broods.